3.5 Prop Shaft Assembly. 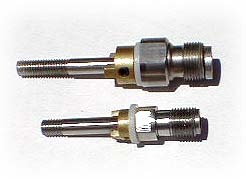 Machined Stainless housing with double-bushed shaft support. Ground and hardened 3/16" shaft. Fits other 3.5 Outboard lower drives EXCEPT OS.